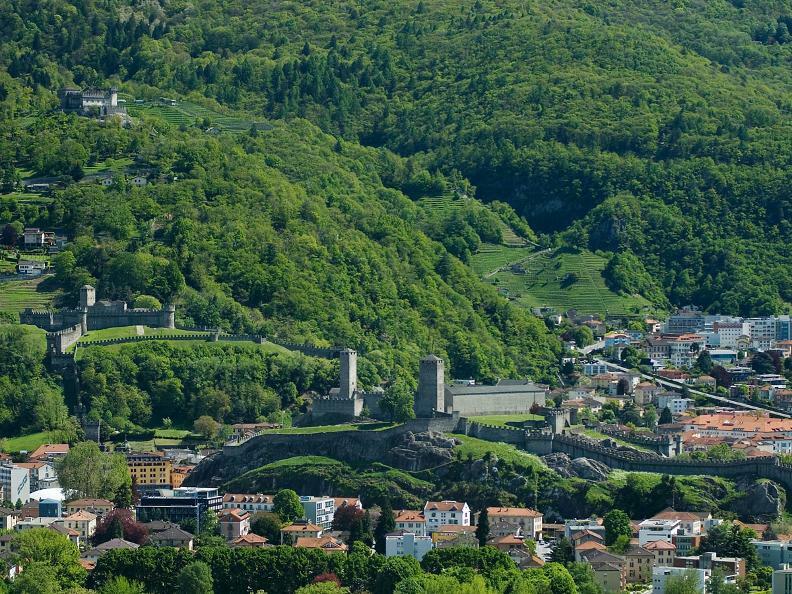 The ancient route to the Alpine passes, over which Bellinzona stood guard, offers a rich artistic itinerary in just a few kilometres. 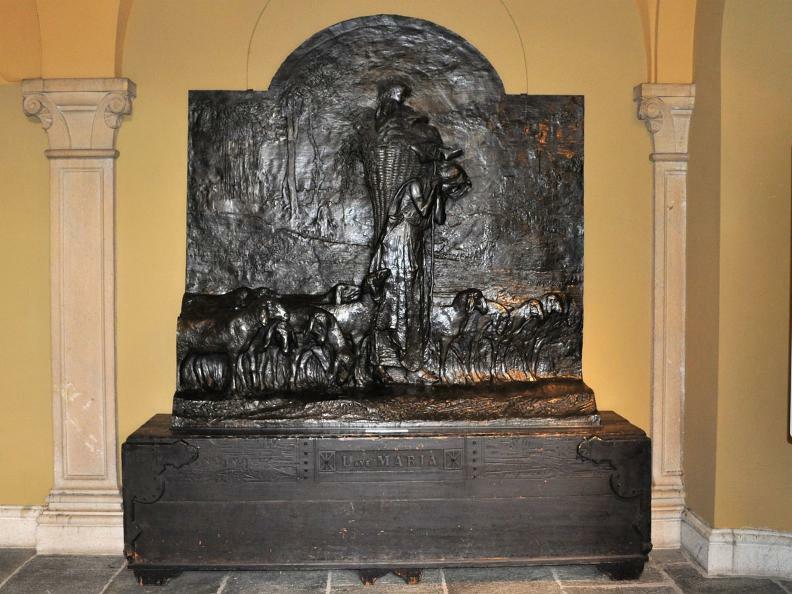 It winds its way between two recently restored churches of considerable artistic value. 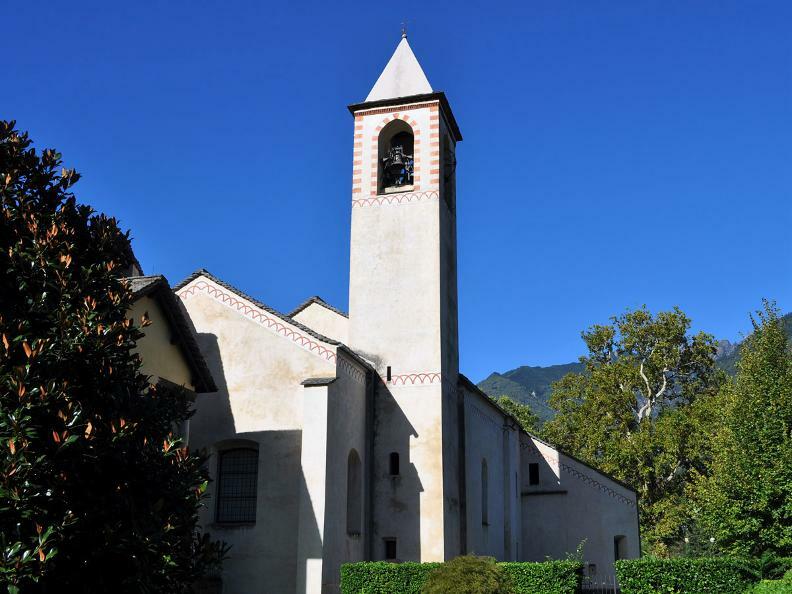 The starting point is situated north of the town at the Church of St. Paul (also known as the "red church") in Arbedo, which can be reached by taking a pleasant walk along the River Ticino. 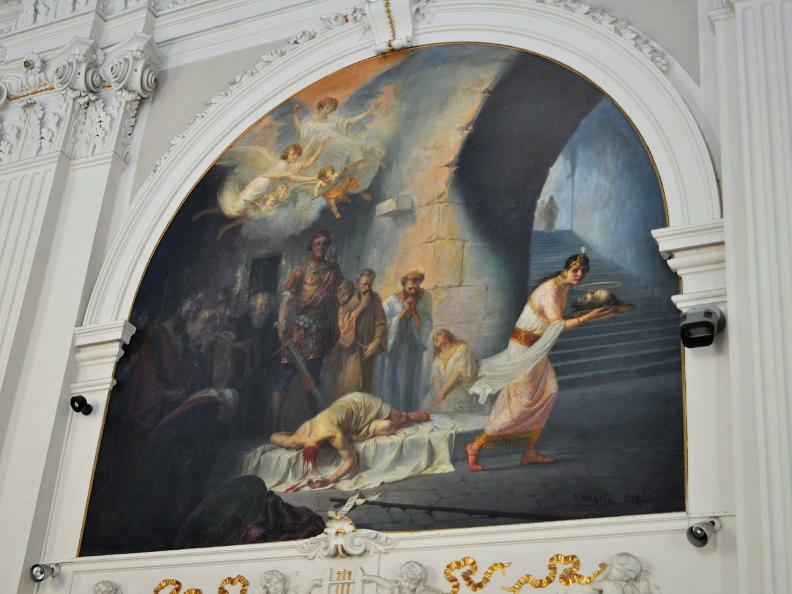 An interesting feature of the church is the fresco by Antonio di Tradate that adorns the façade. 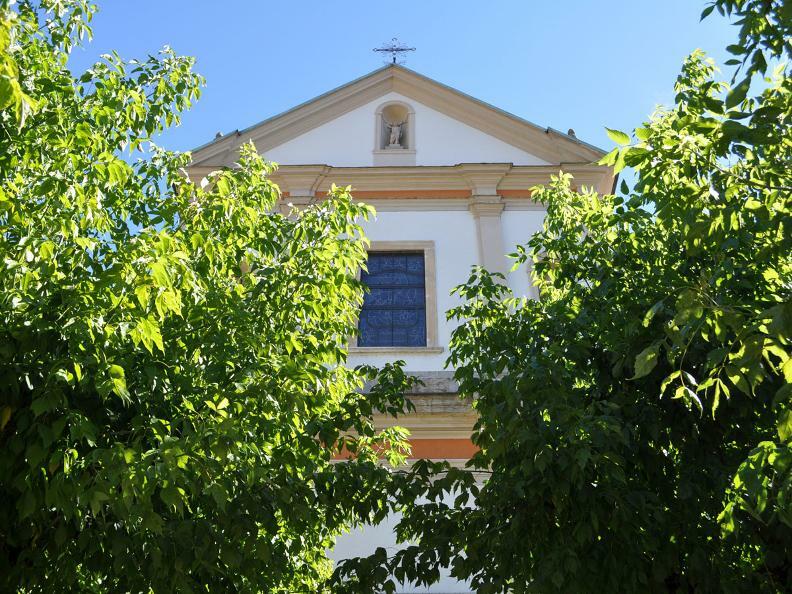 On your way back into the town you can admire the Church of Saint John the Baptist and Evangelist which faces onto Viale Guisan (an imposing proto-neoclassical building built by Matteo Pisoni from Ascona between 1760 and 1762). 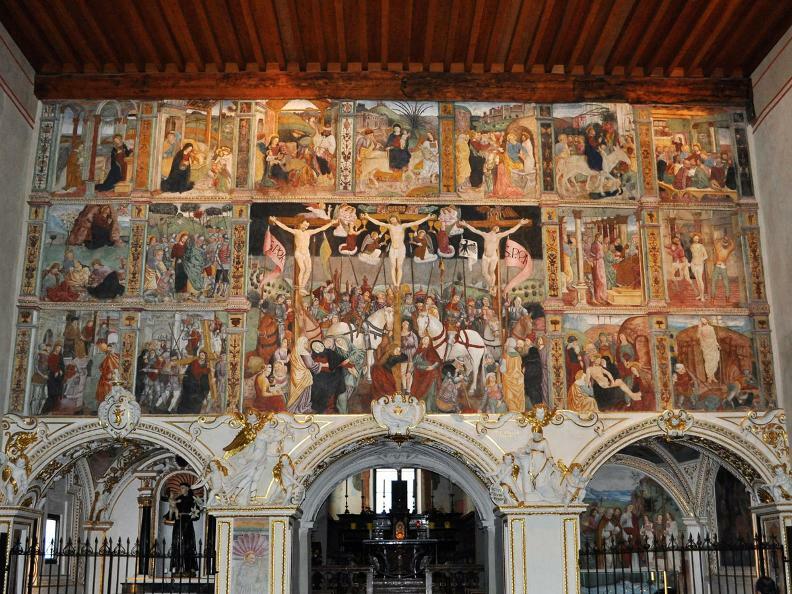 From there a short walk across Piazza Rinaldo Simen, Piazza del Sole and Via Codeborgo takes you to Piazza Collegiata with its imposing Renaissance church designed by Tommaso Rodari from Maroggia. Halfway along Via Codeborgo you come to the Galleria Benedettini, once the nave of a convent church where the first session of the Gran Consiglio (the Cantonal Parliament) was held in 1803. From Piazza Nosetto the route then continues along Via Camminata to Piazza Indipendenza, site of the stele erected in 1903 to commemorate the Canton's first centenary. On the east side of the square stands a 14th century oratory dedicated to St. Rocco. A little to the south Via Lugano leads out of the town centre crossing the Dragonato stream where you can turn left along the former medieval road leading to the beautiful Church of San Biagio in Ravecchia, which has an imposing St. Christopher on its façade. 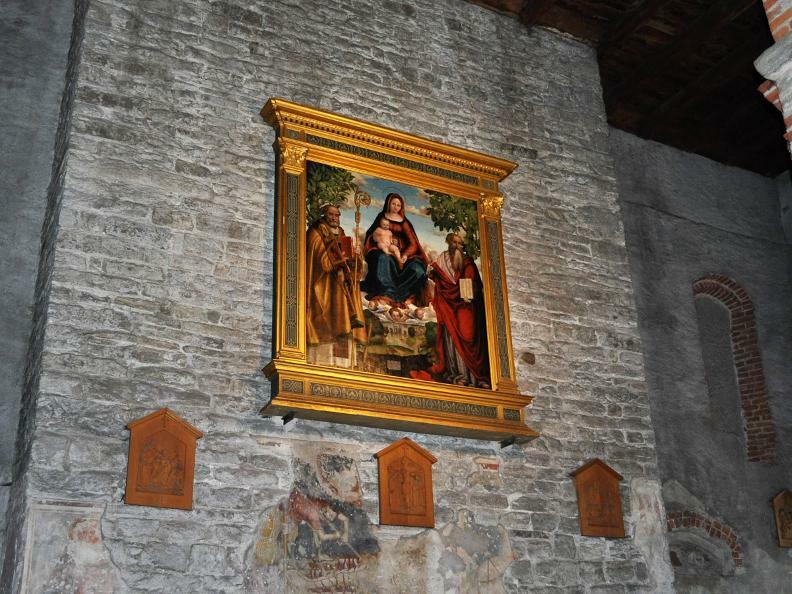 This is the most ancient of Bellinzona's churches. The present building, dating back to the 12th-15th centuries and altered several times, is the result of restoration and rebuilding work in medieval style carried out in 1912-1914. A few metres away you will see the gates of the gardens surrounding the Villa dei Cedri which houses the local art gallery. 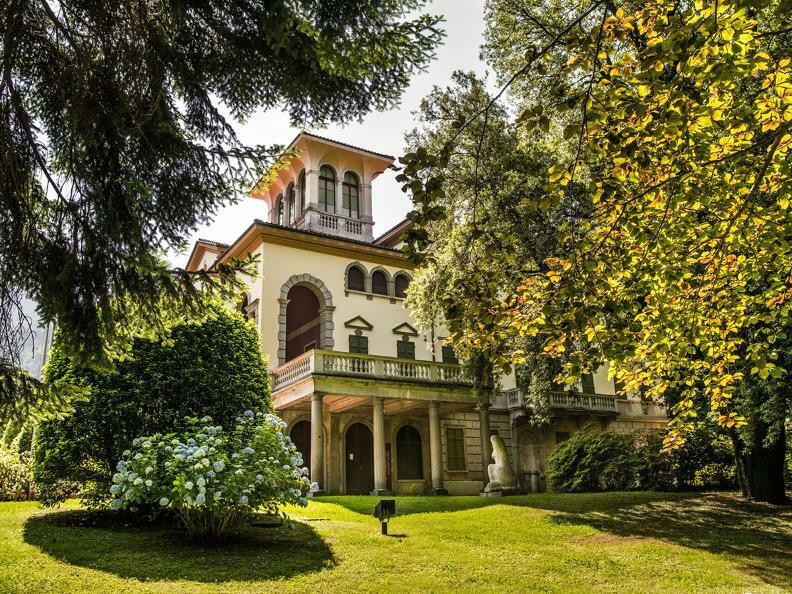 Villa dei Cedri boasts an important collection of works from Ticino, Lombardy and the rest of Switzerland (by Luigi Rossi, Filippo Franzoni, Adolfo Feragutti Visconti, Giovanni Segantini to name but a few) and monographic collections of works by prominent artists (Giuseppe Foglia, Giovanni Genucchi, Ubaldo Monico and Edmondo Dobrzanski among others). 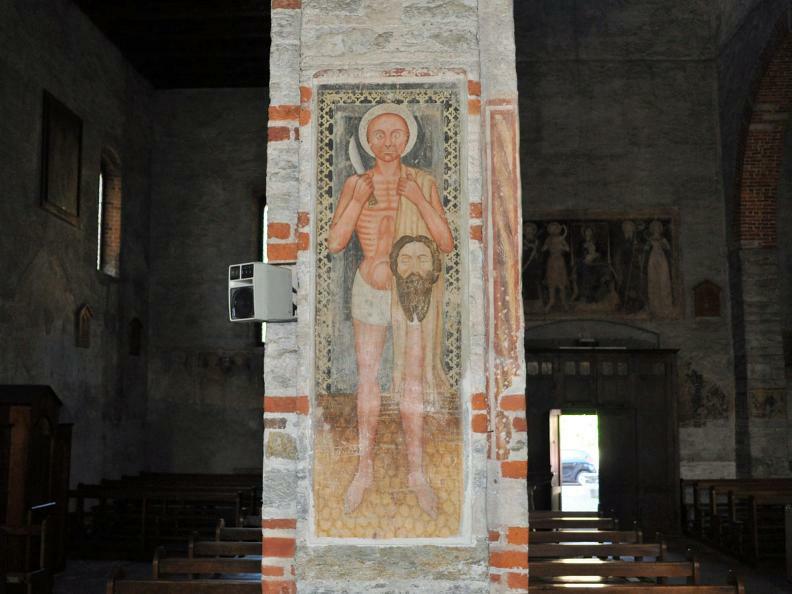 This itinerary ends at the convent church of Santa Maria delle Grazie situated west of the present day road to Giubiasco. Consecrated in 1505 this church has a special place in the hearts of the townspeople and was completely restored after being damaged by a devastating fire on 31 December,1996. Richly frescoed, Santa Maria delle Grazie was built in the second half of the 15th century and the dividing wall, separating the presbytery and choir, where the monks sat from the section for worshippers, dates from that period and portrays episodes from the life and Passion of Christ.